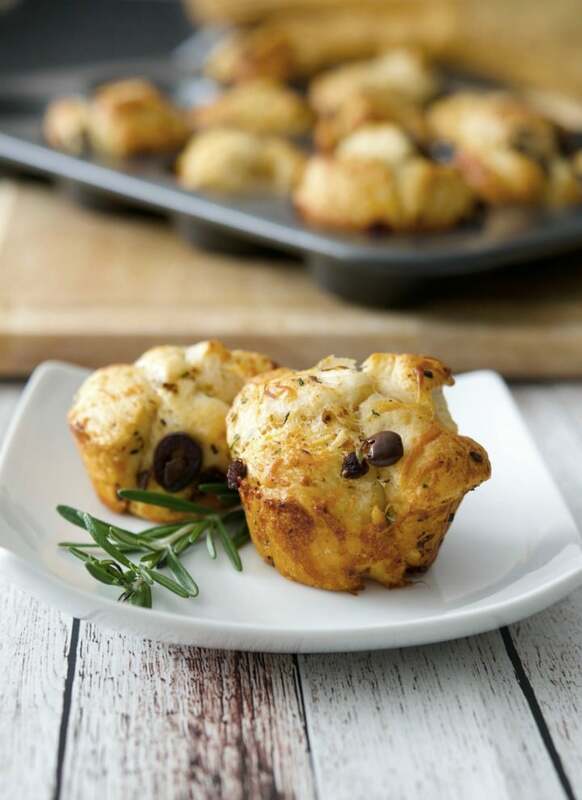 These Savory Mediterranean Monkey Bread Rolls made with flaky biscuits, fresh rosemary, sun dried tomatoes, Kalamata olives and a variety of cheeses are the perfect accompaniment to any meal. I had a moment over the holidays when I was food shopping that I must have lost my mind. Truly. Maybe it was because I was hosting several celebrations over a short period of time or maybe it’s just my age, but I purchased not one or two containers of flaky biscuits, but six! I guess I kept forgetting that I bought them already and it turns out we didn’t even use them at all over the holidays. Instead, my husband trekked to the Italian bakery 20 miles away for fresh, crusty Italian rolls. Gotta love him. In any case, I now had all of these biscuits in the house and it’s not something we normally eat during our weekly dinners so what was I going to do with them all? I scoured the internet searching for ideas and found that monkey bread is generally made with these biscuits; you know the cinnamon kind like this recipe from Pillsbury. 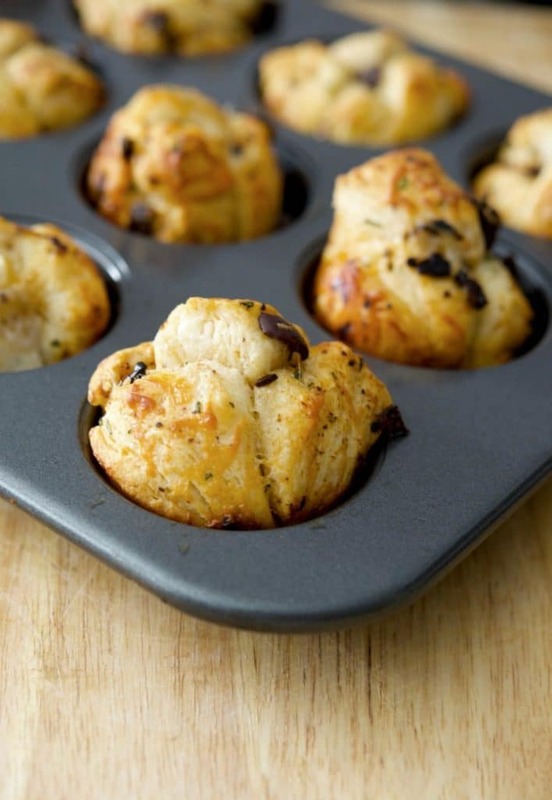 I then saw quite few other recipes made more savory instead of sweet (which is more my speed) and decided to embark on a new experiment and created these Savory Mediterranean Monkey Bread Rolls. OMG! You guys HAVE to make these rolls ASAP!! I’m not kidding the flavor was incredible and SO easy to make too! 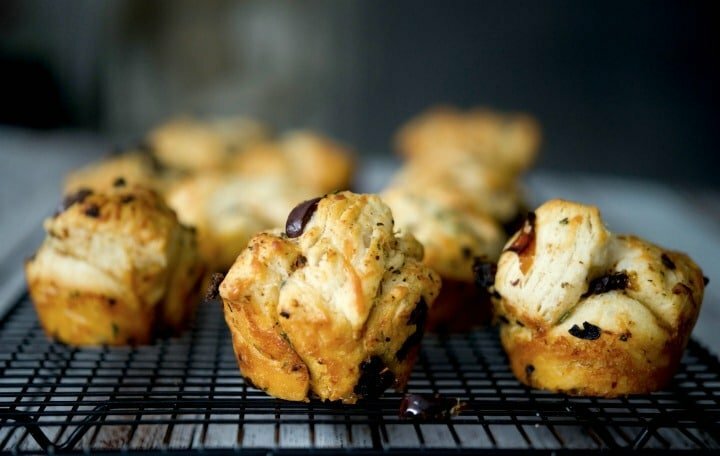 To make these rolls, you’ll need flaky refrigerated biscuits, fresh rosemary, Kalamata olives, sun dried tomatoes in oil (or regular) and your favorite cheese. I used a six cheese shredded Italian blend with part skim Mozzarella, Asiago, Parmesan, Provolone, Romano and Fontina, but any one of the above would be fine or a nice crumbled Feta cheese. Start by cutting your biscuits into six wedges; then place them into a bowl. I used kitchen shears to cut them into wedges, but you could use a knife. Add the remaining ingredients and mix well; making sure to coat all of the dough. I used sun dried tomatoes in oil which help to give these rolls that golden hue, but if you use regular sun dried tomatoes, you will have to add a little more olive oil to the ingredients as well. 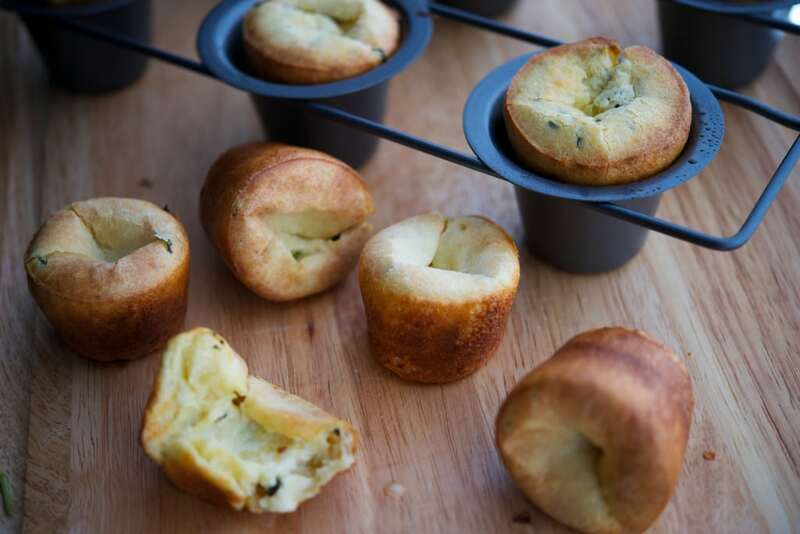 Once all of the ingredients have been combined, add the mixture to a non-stick muffin pan. I put four pieces of dough per muffin pan and got twelve rolls out of this batch. Bake in a 350°F oven for 12-15 minutes until the dough has risen and turns golden brown. Serve warm with some butter or dip in olive oil sprinkled with crushed black pepper and salt…MMMM…I’m getting hungry again just thinking about it! My family and I just love anything with Mediterranean flavors and these monkey bread rolls were no exception! In fact, you can even freeze them once cooled; then wrap in foil to reheat in the oven to enjoy a second time. I still have some more biscuits to use up and I’ll definitely be making these rolls again. Over this past weekend, I also made this recipe for Apple Fritter Cinnamon Roll Bake from Crazy for Crust since I also had a tube of refrigerated Cinnamon Rolls and my kids DEVOURED it in seconds…it was THAT good!! 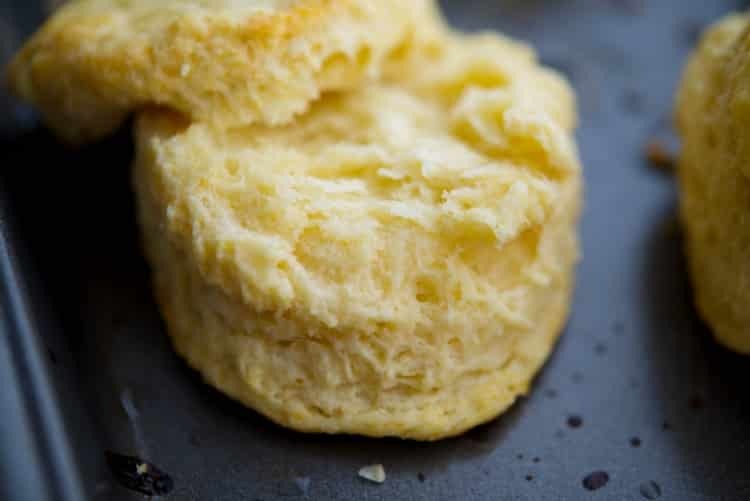 I bet you could even use regular flaky biscuits and season them with cinnamon and sugar to get the same effect.~Enjoy! 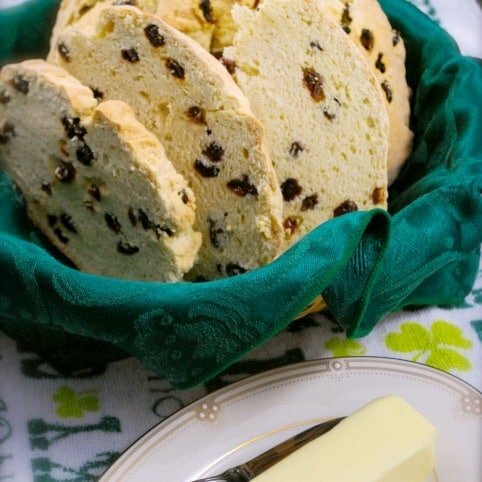 Cut the biscuits into six wedges and add to a bowl with the remaining ingredients. Mix well. 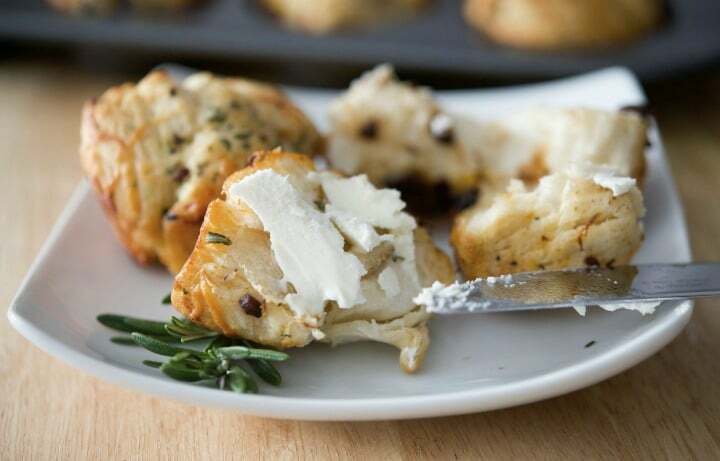 Add four biscuit wedges to a muffin pan and bake 12-15 minutes until the dough has risen and is golden brown. Serve warm. 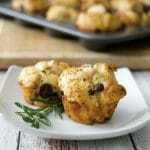 *You may substitute regular sun dried tomatoes in place of the ones in oil, but increase the oil to 3 tbsp. Crumbled Feta or other shredded cheese can be substituted as well for the 6 cheese Italian blend.